You know maternity photos went well when they have you back once the baby is born. 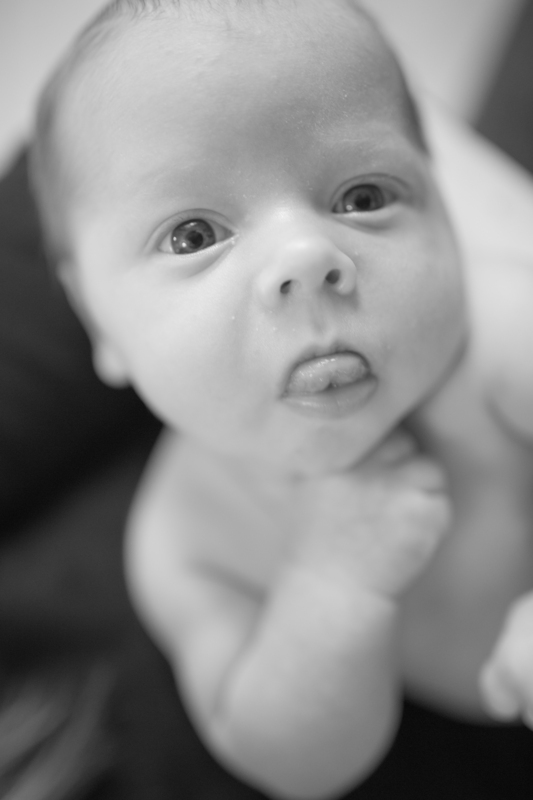 Little Thomas is 3 weeks old, and adorable as ever. Babies are my absolute favorite. Every time I shoot with one, I want it......I mean, I want to have one for myself. Oops. This would require a wife, which would also require a girlfriend, so I think I'll just hang with other peoples' babies until the time comes. I told Aaron to give me his best, "What the heck do I do with this?" face, and I think he did pretty well. He's the type that makes jokes I appreciate. The Dad jokes - and in this case, the most literal sense. We were trying out poses, and we set Thomas on the 'Altar' in the yard, as he called it. It was really just a patio table from the porch. His wife didn't appreciate it, but I chuckled inside. It is a somewhat eerie shot, and I kinda like it. So, on to James - the first addition to the family. He is a little fiery ball of energy. He probably has the most consistent mischievous facial expressions of any kid I've seen. It was difficult to get him to drop his plastic sword, because he claimed he was a pirate.. Just like in our other two shoots, he gets a bit pouty toward the end, but Mom bribed him with his favorite TV show, and we were good. Be sure to like Friesen Photography on Facebook, and message me to set up a session!